Meeting the demands of the University of Arizona Athletic Teams is demanding. 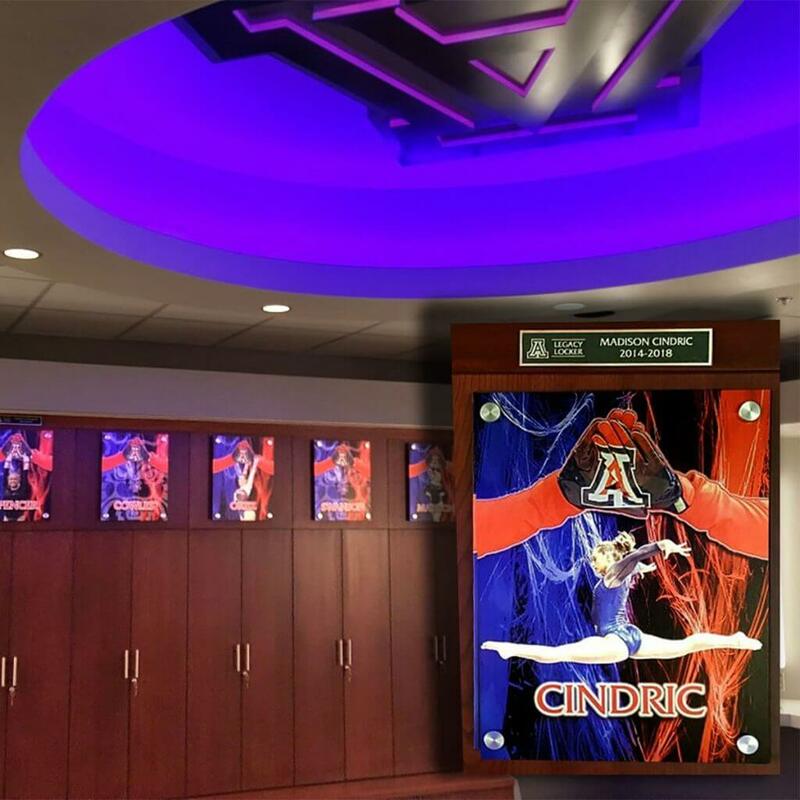 Recruiting top athletes and creating a locker room that appeals to the incoming class are important. Check out the look that these grand format printed signs can add. It’s always a good idea checking out samples before committing to a new project. And if you’re living in Tucson why not schedule a tour of the facility. These are full color prints on aluminum and brushed aluminum substrates. In our direct print on brushed aluminum, We do not print the white areas of the image so there is a metallic shimmer from the brushed aluminum surface. It is also very visible in the other bright areas of the image, This gives the photographic image an overall metallic sheen. Normally clear coated after full color printing, the finished product is waterproof, resilient and is suitable for an exterior location. Aluminum E-Panel substrate consists of a black polyethylene core sandwiched between 2 aluminum sheets coated platinum-white. This is ideal for in-home displays or for a gallery-quality presentation. The white, aluminum material is available in any custom size or shape.